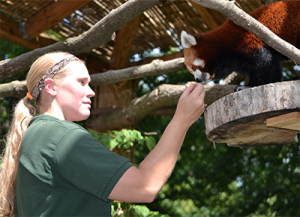 To apply: Follow above link, search for “zoo” and look for FACILITIES SEASONAL MAINTENANCE WORKER. Follow instructions to apply! Starting at $12.hour! Facilities Seasonal Maintenance Workers perform routine maintenance on park grounds, buildings and equipment, landscape and garden installation and maintenance. May also perform light construction. Must be able to communicate clearly and effectively with visitors, enforce park rules and regulations and provide assistance to visitors as required. To apply: Prepare your cover letter telling us why you think this is the perfect job for you. Then follow this link, search for “zoo” and look for TEMPORARY CUSTOMER SERVICE ATTENDANTS – POTTER PARK ZOO. Follow instructions to apply! Customer Service Attendants serve as the first and often the last employee contact for our visitors. 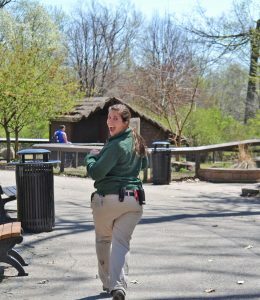 With important roles throughout the zoo which include food & beverage prep, sales, and delivery, parking, admissions, and retail sales it is important that team members in these areas commit to ensuring prompt, efficient, accurate, and friendly customer service to all zoo visitors. Successful candidates must be able to communicate clearly and effectively with visitors, maintain a balanced cash drawer, adhere to all health code and zoo safety standards, and complete daily reports, all while cleaning and stocking dependably. To apply, please send resume and cover letter to Society Executive Director Amy Morris-Hall at AMorris@ingham.org. Managing accounts payables and receivables, bank reconciliation, bank deposits, cash flow projections, payroll reporting and more. 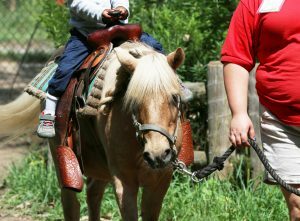 Works with the Executive Director and all zoo departments to assist in an understanding of finances and where the Society stands compared to prior year and budget by department. Ability to work with external auditors to produce year-end financial statements. Creates the annual budget. 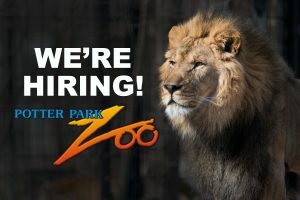 To apply: Follow above link, search for “zoo” and look for TEMPORARY ZOO PUBLIC SAFETY ATTENDANT. Follow instructions to apply! Responsible for the overall safety and security of Potter Park and the Zoo. Will patrol the park and zoo on foot, bike, and vehicle enforcing county rules and regulations as needed. Will provide emergency assistance to staff and the general public and respond to a variety of calls for service within the park and zoo. This position will also act as a receptionist and will assist staff with administrative and clerical tasks.